Are you looking for excellent limousine service? We are proud to offer convenient, efficient limo service nationwide. Whether you are traveling for a conference, convention, trade show, or otherwise, you may need VIP transport. If you are looking for limo or town car service for your CEO or executive, you have come to the right place. We can provide a limo, SUV or sedan service for any of your transportation needs from the airport to the hotel, to the meeting center, and wherever else you need. Are you looking for the most convenient and cost-effective ground transportation for your company? If so, we have the best solution. 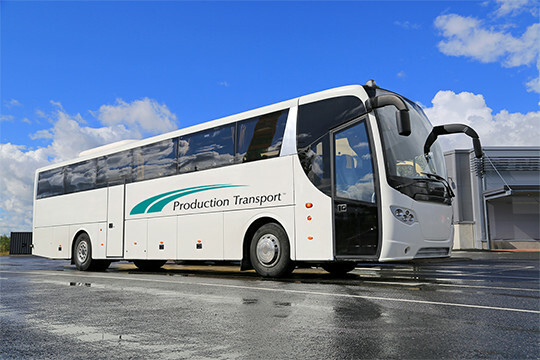 At Production Transport, we provide the best corporate transportation in the Unites States and Canada. From large shuttle bus service to executive VIP service, we can cater to your transportation needs. We know that travel in an unfamiliar city can be stressful or a hassle when you are trying to focus on your meeting or another event. Yet, with our easy, relaxing shuttle buses and town car service, you won’t have to worry about getting around. We were founded in 1982 and have continued providing customers with outstanding customer service ever since. Our high quality, reliable service is what our customers have come to rely on. We value our customers and do our best to ensure that you have a safe and happy travel experience. Ready for a reliable and convenient VIP limo service?